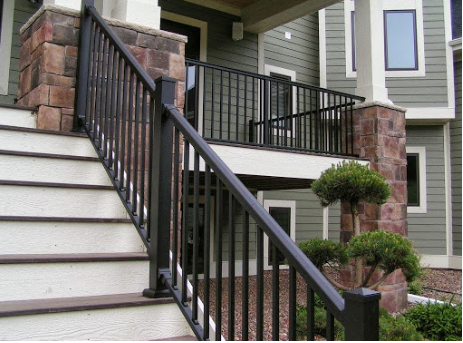 Did you know that installing exterior railing does not have to be an expensive or daunting task? Our handrail kits make installing outdoor stair railing quick and easy. If your home has stairs leading up to the door, you will want a reliable exterior handrail system. Although safety is one main reason for having outdoor railing, it doesn’t have to be the only reason. A well-designed exterior railing can increase the curb appeal and perceived value of your home. Other benefits of having appropriate handrails include meeting local building codes and fulfilling insurance requirements. All of the handrail systems that Stair Solution carries meet or exceed code and insurance requirements. 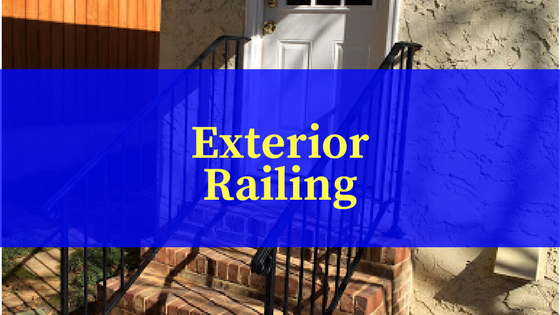 We are extremely knowledgeable about what is required by the city and state, and our fully trained staff can help you decide what type of exterior railings work best for your entrance while complying with local codes and regulations. Due to their durable and low-maintenance nature, aluminum exterior railings are an excellent choice if you are looking to enhance the outside of your home. Aluminum railings are versatile and can be added to vinyl, composite or wood decks. They can also enhance the beauty of any porch, deck or balcony. Visit our website to browse our exterior rail options. Our Iron X Handrail offerings offer a safe environment while maintaining the beauty of any entrance. With many different styles and combinations, we are able to add or retrofit almost any commercial or residential exterior area. Stair Solution offers a variety of amazing looking stair railings. Our durable, weather resistant railing systems and galvanized steel brackets keep things beautiful and functioning for years. We can help determine on-site requirements and educate you on current code enforcement to help you transform your home or business into a welcoming, safe environment for everyone.